Incorporate a modern farmhouse accent into your living room with this cocktail table. 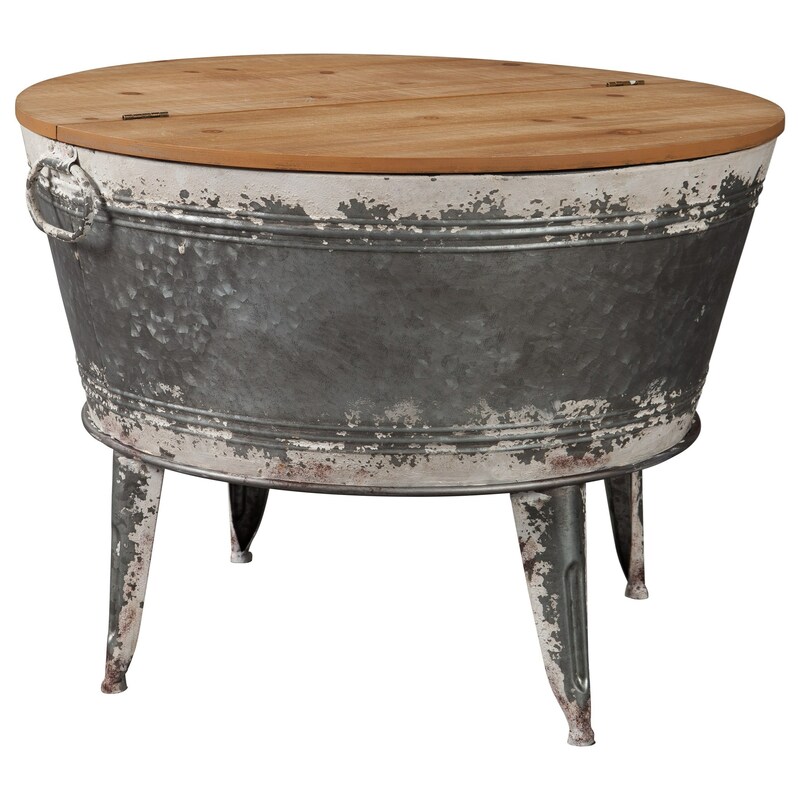 The wood top has a hinge to reveal storage inside the antique galvanized finish metal base. The compact size of the table is ideal for small spaces. The Shellmond Modern Rustic Storage Accent Cocktail Table with Lift Top by Signature Design by Ashley from Nashco Furniture - Nashville. We proudly serve the Nashville, Franklin, Brentwood, Clarksville, Green Hills, Davidson County, Williamson County, Tennessee area. Product availability may vary. Contact us for the most current availability on this product. Storage Storage inside table. Lift top. Case Construction Constructed of veneer and engineered woods in a light brown finish. Antique galvanized finished metal.